You may be wondering what you can get for your loved ones for Christmas, who suffer from memory loss. 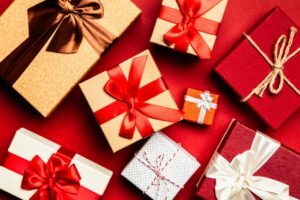 Finding gifts for clients with dementia can be difficult, but it’s not impossible with a little help from these gift giving ideas. Depending on the stage of dementia your loved one has, you’ll want to consider different gifts. An Aging Life Care Expert can guide you through this experience. Early Stages of Dementia or Alzheimer’s: Large print crossword puzzles, activity books, or other books that contain strategy games can be a great gift. They can give your loved one something to do and even help stimulate their mind. Other good gifts include classic movies or TV shows that they once loved on DVD. You will always share a good laugh with episodes of I Love Lucy. Also, a cellular phone can be a useful gift as well, although make sure it has a memory storage feature. These cellular phones combine photos and can be added to the contract information of loved ones and friends. Middle Stages of Dementia or Alzheimer’s: Gifts for Dementia or Alzheimer’s patients in the middle stages of the disease can benefit from gifts that include a clock with large numbers that shows not only the time but also the date. Or automatic nightlights, so when it gets dark there is light available for them even before they turn on the lights. There are new mats that light up when a person stands on them, so they do not have to fumble for a light switch. Craft kits that remind them of earlier days are great Alzheimer’s gifts as long as they are not too complicated to complete. Later Stages of Dementia or Alzheimer’s: When your loved one is in the later stages of the disease, you can still find dementia gifts that will suit their needs and put a smile on their face. At this stage it is all about comfort. Gifts for people with Alzheimer’s or dementia can include a super soft blanket or bathrobe in a color they really like or clothes that allow them to be comfortable such as sweats. Think about clothing that can make getting dressed and undressed easier for your loved one. Avoid tops that have to be pulled over their heads, that feels confining to them. Also, a stuffed animal or doll can give them some comfort as well as CDs that have songs from their childhood. Aging Life Care Experts like to also include gifts on the more practical side, for example a location-tracking device can give you some peace of mind in case your loved one gets lost or wanders away. Finally, practical gifts for seniors with dementia include an automatic dispenser for medications. This can help ensure they get all of their medications at the right time without mixing any of them up. Having dementia can make a person feel isolated and no longer part of the family. As an Aging Life Care Expert, we find ways to include your loved one in family activities. By finding some of the right types of gifts for your loved ones with dementia or Alzheimer’s, you can give the greatest gift of all—showing them that you care and that they are still a valued member of your family.